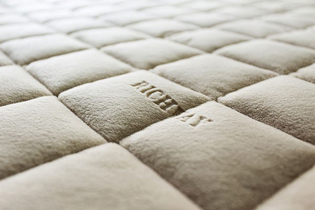 Richway products are shipped from one of many manufacturing locations in the United States and Canada. Orders are processed the same business day and are shipped out usually within 24 hours via UPS Ground. Usually your products will arrive within a business week but you should allow up to two weeks for delivery. You can order here with confidence as the site is 100% secure with 128 bit encryption security on all orders. We accept most major credit cards or you can pay by check, money order or phone by calling 850-348-1541. The prices below are only for customers shipping to somewhere in the United States or Canada. All products on this page are 110V electricity. If for some reason you need 220V products, just let us know when you order. Canadian orders will be subject to General Excise Tax charged upon delivery by the Canadian government but will not be charged duty fees. We also ship globally, but the shipping charges are different. For more information, international shipping. If you have any questions on shipping or ordering any Richway products, feel free to call us at (850) 348-1541 or email us at sales@therichwaybiomat.com. Designed specifically for massage tables. The Amethyst Biomat King Size. The grand daddy of Biomats. It comes with dual control to adjust settings on each side seperately. This means each side of this Biomat can be adjusted to different temperatures. 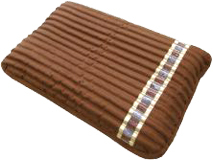 This is an elastic polyurethane memory foam pillow that has a therapeutic shape to provide important neck support to ensure an ergonomic sleeping position.